FEEDS – It is a registered, non-proft, non-political, non-religious, voluntary organization established to serve as a channel through which the cherished vision of my father can be translated into reality. The FEEDS has launched a series of socio-economic development projects which have hitherto been denied to the tribals. The activities of the society are managed by a board of management. The Board appoints different committees and personnel for the smooth functioning of the society. The society has its own by laws, guide lines, principles, policies and service rules. Creation of an educated, ethical and prosperous society by imparting higher education to youths, enabling them towards integral human and career development by making them globally competent and market ready. Academic excellence, technical skills, healthy standards in co & extracurricular practices, socially relevant activities, and courses leading to employment and entrepreneurship and continuous progress of the institution. It unfolds interesting possibilities. I hope they come to fruition as conceived. Wish them all the best. A true experience of how a properly developed and managed watershed and agricultural farm practices can coexist. The use of modern farm techniques is not only having demonstrative effect but also an experience of seeing is believing. A sucess story, good for people of Manipur. All the best. The Orchid Gene Facility is indeed a National facility which is a pride of the Nation. A very well designed facility, enthusiastic scientists and commitment of the organisation can be seen. I visited FEEDS/KVK SYlvan in the capacity of DBT evaluation officer for the schemes supported. With the interaction with the faculty and visits to various farm research centres, SHG groups and farmers, I am very much impressed with the work undertaken by the team in various field based and village based activities on entrepreneurship development through training and demonstration. Being a NER there are lot many challenges to be addressed in the region by the kvk under the leadership of Sh. Kipgen and his team by taking effective measures on putting viable schemes on ground involving vulnerable sector of the society and the community at large through sustainable utilization of local bio-resources with active linkages of locol self goverment, ICAR, State government agencies. I wish all the best to FEEDS/KVK. I have visited many Institutions/NGOs in the north-east but this centre is the best I have ever come across. I am really thrilled to see the wonderful activities at the centre. I did no expect such a well organised set up from an NGO especially of Manipur but I am completely wrong to think this way. It was a great experience for me and my team to visit the centre. Congratulations for the good work and we wish the centre all the best. A highly innovative and appreciable comprehensive agriculture systems model. It was an exhilarating experience looking around the facilities that have combined high science with relevant local needs. Compliments to FEEDS and thanks from ICAR for nurturing the KVK to this level in less than a decate. Look forward to working in greater measures in times to come. Best wishes and God Bless! A great effort. Conservation of bio-diversity is all about living with nature. Science for living with nature is the true sustainability science. I am touched by the motivation and commitment to science. All the very best to this wonderful group. Hengbung, B.P.O, P.O. 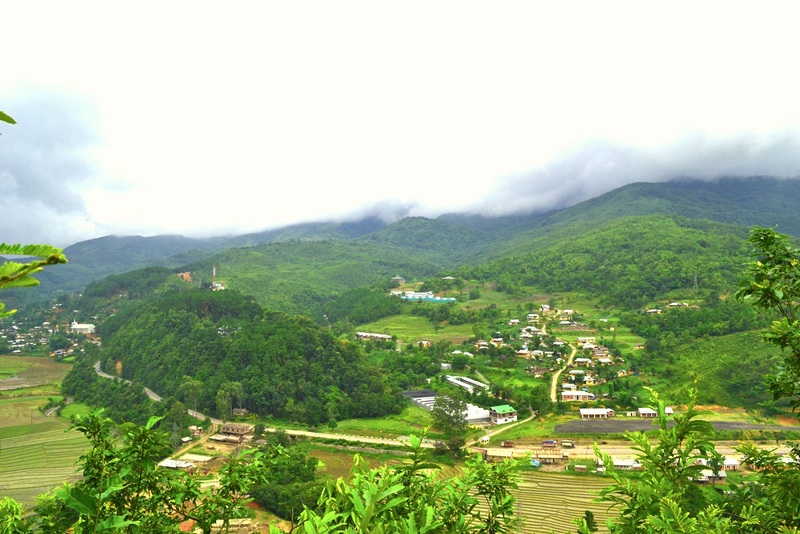 Kangpokpi, PIN - 795129, Manipur.